My grandson called to let me know that about his wobbly tooth. He told everyone in his little world about it and offered to waggle it to and fro if we wanted. 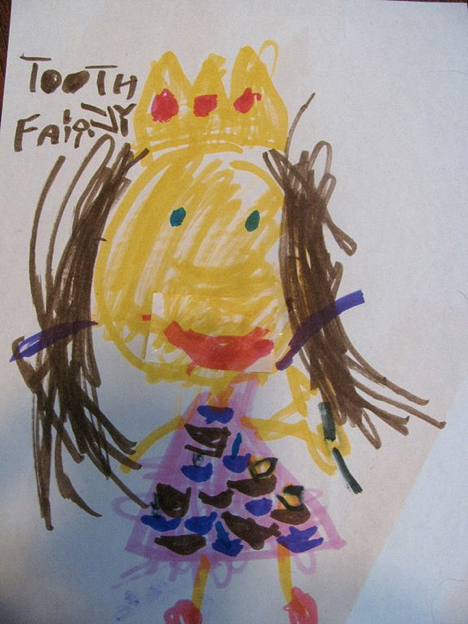 I’ve been through the tooth fairy experience several times now with children and grandchildren. (I don’t remember my own). It’s a marvellous and exciting time for them. I can appreciate it but at the same time I know that they are taking their first stumbling step out of the Hundred Acre Woods and there’s no going back. Sad times and happy times for us all. Pictures may be worth a thousand words to some, but I’ve decided that I would try to recapture those experiences in print. When I began this blog three years ago, I wrote mostly about my grandchildren (I have four) and then someone suggested I needed to expand my horizons. I’ve done that, and once I had decided to put my all into it, I was mostly pleased with my work. I’m not too ashamed of most of it, but now I’m thinking would like to go back to my roots. I’m going to aim my pieces at parenting magazines and give my blog a bit of a break. I’ve got hundreds of followers (not thousands because I don’t believe in anti-social media) but only a handful of friends. I don’t intend to miss the latter because I will drop in sometimes and check on you. I’m fond of you and have come to think of you as just as important to me as my real time friends. In the meantime, hugs to you all and so long. I say –there can’t be too many posts about grand-kids!! Thanks. I’m working on it. Good luck! Will miss you! I might see your name in print soon Mary? I hope it goes well for you, even paid a dollar or two for those little gems I know you’ll be sprinkling in your writing. Best wishes, Bruce. Thanks Bruce. I’m going to have to live up to your faith in me. Please keep up those posts of yours and the piks. I intend to visit. Just enjoy yourself Mary, dizzy heights or not. I hope it goes well for you.